The fort is situated 400 feet (122 m) above the city and is enclosed by imposing thick walls. Inside its boundaries there are several palaces known for their intricate carvings and expansive courtyards. A winding road leads to and from the city below. The imprints of cannonball hits by attacking armies of Jaipur can still be seen on the second gate. To the left of the fort is the chhatri of Kirat Singh Soda, a soldier who fell on the spot defending the Mehrangarh fort. 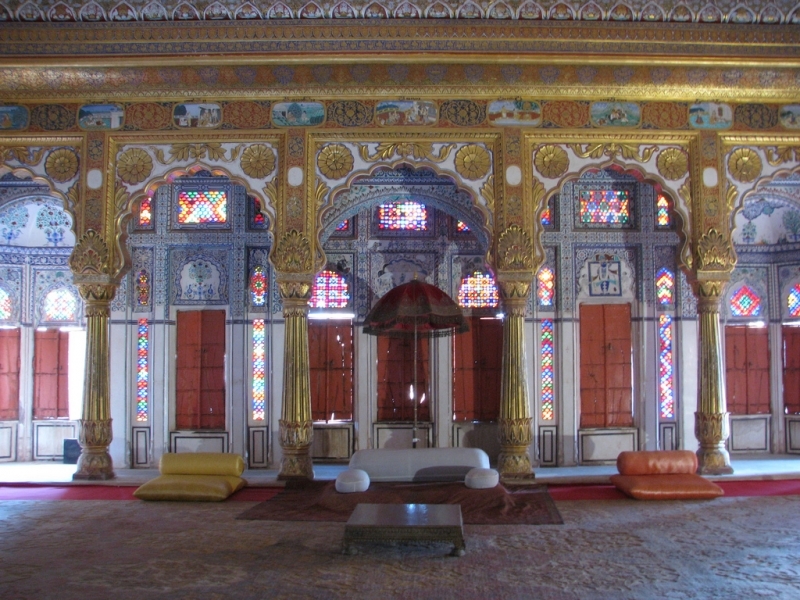 The museum in the Mehrangarh fort is one of the most well-stocked museums in Rajasthan. In one section of the fort museum there is a selection of old royal palanquins, including the elaborate domed gilt Mahadol palanquin which was won in a battle from the Governor of Gujarat in 1730. The museum exhibits the heritage of the Rathores in arms, costumes, paintings and decorated period rooms. The third of movie of The Dark Knight trilogy, The Dark Knight Rises, was partially shot around the Mehrangarh fort. A few scenes included the prison well within which Bruce Wayne is shown to have been imprisoned. There is one particular shot when Wayne emerges from the Prison that actually gives a glimpse of the Mehrangarh Fort in the background. Been to Meherangarh Fort ? Share your experiences!